54 Brilliant Homepage Designs Ebook | Flair Interactive Services Inc.
Find out what works, what doesn't and why your homepage has to sell. We've teamed up with the folks at Hubspot to create this cobranded ebook about homepage designs. Most visitors' first reaction is to instantly hit the "back" button if they don't like what they see. Don't let that happen! Your homepage is undoubtedly one of the most important pages on your website. These 54 examples of brilliant homepage design will inspire you and help shape your homepage design strategy. 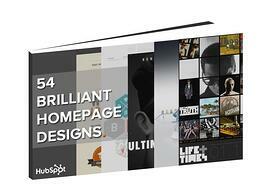 Download our "54 Brilliant Homepage Designs" ebook now by completing the form on the right.